You don’t even need to leave your car. Employees with BSO will assist you and you can watch them feed your documents into the shredder. Time to throw out old documents and prescription drugs because the Broward Sheriff’s Office will be holding a Shred-A-Thon and Operation Medicine Cabinet event in Parkland. Held on Saturday, August 19, the Shred-A-Thon provides residents with a safe way to dispose of their personal documents, check stubs, credit card offers, receipts, as well as and any other paperwork that contains sensitive information. This service is free of charge and there is a limit of five boxes per person. Just drive up in your car and your items will be safely destroyed. 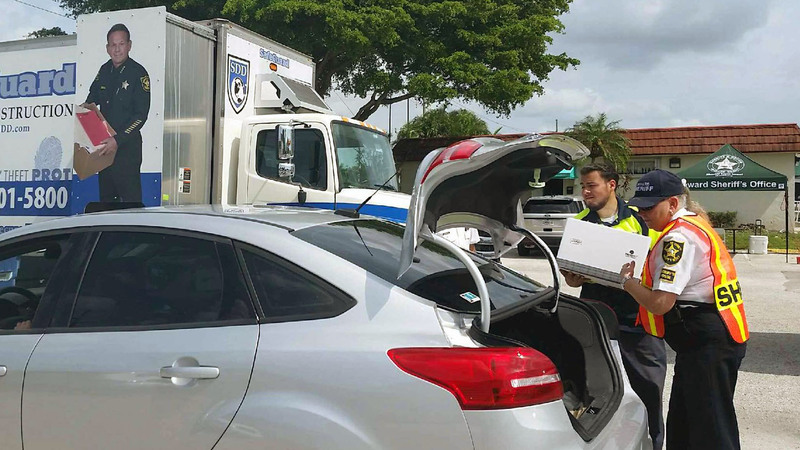 Documents destroyed in BSO’s Shred-A-Thon events are shredded by SafeGuard Document Destruction. Residents that turn in unused prescription medication are eligible to receive $5 provided by the Sheriff’s Foundation of Broward County. This is while supplies last and limited to one per family. Hopefully, Sheriff Scott Israel will be making an appearance as well. Also, residents from Coral Springs are welcome as well.